We will have two distances for this race. The Short Course will have a 400 yard swim, 12.5 mile bike & 3.1 mile run. 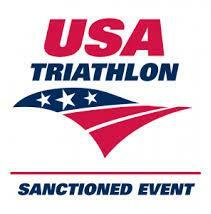 The Long Course will have an 800 yard swim, 24.8 mile bike & 6.2 mile run. Swag Bags will be provided and Finisher Medals to all who make it.